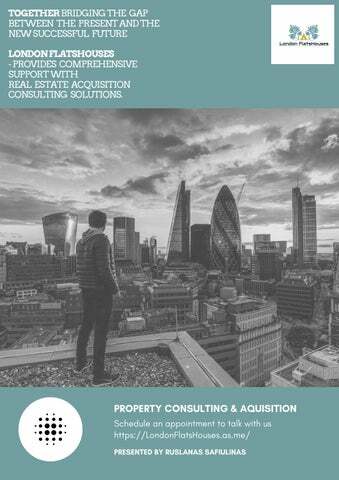 TOGETHER BRIDGING THE GAP BETWEEN THE PRESENT AND THE NEW SUCCESSFUL FUTURE LONDON FLATSHOUSES - PROVIDES COMPREHENSIVE SUPPORT WITH REAL ESTATE ACQUISITION CONSULTING SOLUTIONS. INITIAL ADVICE AND GUIDANCE Free of charge / Duration: 15 Minutes / By Phone, Skype, Meeting A briefing for us is the first personal acquaintance with a client. At the briefing, we try to achieve two goals: to establish partnerships with the client and collect all the necessary information on the project. This is a very important stage, because the more data the client gives us, the easier it will be for our specialists to understand and immerse themselves in his situation. Briefing is an essential and crucial stage of negotiations. Even the slightest mistake in this process usually leads to a loss of mutual understanding with the Client and, as a result, to incorrect steps in the strategy. Therefore, at the briefing stage by the agency, there should be experts who ask the right questions. FULL GUIDANCE FOR ACTIONS ÂŁ50 / Duration: 60 minutes / By Phone, Skype, Meeting * Consultancy Approach & Support. * Relocation Planner. * Checklists. * Reports of Analysis. * Guidance & Recommendations. * Migration | Visa Support * Checklist Of Docs Preparation. * Report Of Rental Affordability Analysis. * Guarantor UK | Guidance & Recommendations. * Target Definition For Orienteering Area. * Report Of Property Market Analysis and Trends. * Target Definition For Personalised Property Search * A Short Guide On Right To Rent, Right To Live In The UK * How to Rent - A guide for current and prospective tenants in the private rented sector in England. 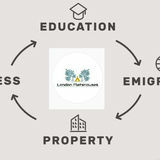 * Relocation & Property Expert - Advisory & Recommendations. * Comprehensive & Customisable Relocation Package | Options Offer.